Not all software robots are created equal. The Blue Prism Technology Alliance Program (TAP) exemplifies a joint engineering approach with the world’s most innovative companies that augments our Digital Workforce with deep technology partnerships that promote enterprise Digital Transformation. The result goes beyond simply automating complex processes to create a true, enterprise-scale Intelligent Automation platform with stronger solutions for enterprise cloud, virtualization, AI, machine learning, OCR, process mining, advanced data analytics, and more. This ecosystem of powerful technologies also complements Blue Prism’s six essential skills for Intelligent Automation to give enterprises a smarter, more powerful Digital Workforce that directly contributes to true operational agility, improved productivity, and better, world-class customer experiences. Our customers are seeking best-of-breed software and service providers for AI, cognitive, machine learning, process mining, OCR, workflow, mobile and other new technology offerings. With Blue Prism, they have both opportunity and access to deploy an ecosystem of technologies with a range of transaction execution and process automation services, much like an operating system." Blue Prism’s Premier TAP Partners represent carefully cultivated strategic and technical relationships that integrate the most innovative new technologies with Blue Prism’s Digital Workforce. These Partners also provide the most in-demand Digital Worker skills that our enterprise customers have requested as essential to furthering their Digital Transformation journeys. The Blue Prism/ABBYY partnership integrates ABBYY’s FlexiCapture intelligent capture solution to automate the process of turning unstructured content into structured, actionable data. Blue Prism’s partnership includes a reference architecture for AWS and full API integrations with AWS Rekognition and Comprehend. Blue Prism integrates Appian’s business process management (BPM) platform for a complete BPM/RPA solution to build highly efficient and automated end-to-end business processes. The Celonis/Blue Prism partnership integrates Celonis process mining technology, making it easy for enterprises to build, test, and deploy RPA in a more calculated way, gather information from differe...nt data sources, understand it, and gain deeper insights. Expert System’s Cogito text analytics technology works with Blue Prism to transform the way organizations find, comprehend, and use information – leveraging proprietary AI algorithms to extract action...able knowledge. Blue Prism has a reference architecture for Google Cloud, as well as full API integration with Google Intelligent Services to add AI and machine learning to Blue Prism RPA. The Blue Prism/IBM partnership integrates IBM Watson to help enterprises automate and scale business processes, as well as easily add such AI functionality as Natural Language Understanding, Language ...Translation, and Visual Recognition. Blue Prism is a Microsoft Gold Certified partner with a certified reference architecture for Microsoft Azure and full API integration with Microsoft Cognitive Services. 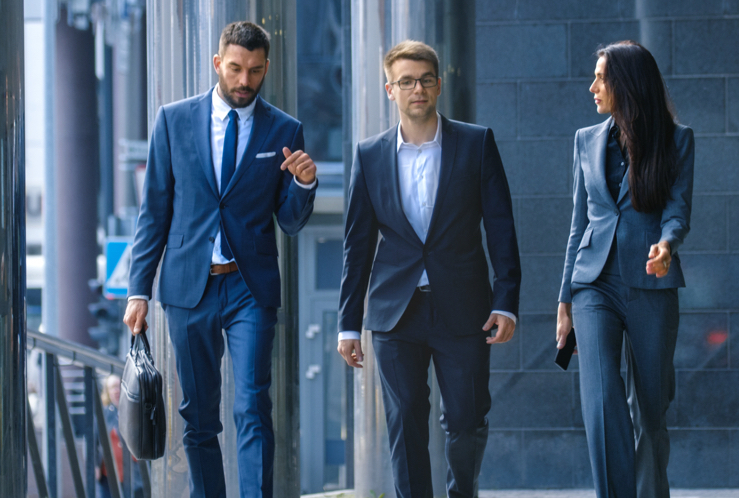 Oracle’s Financial Crimes and Compliance Management suite of applications integrates with Blue Prism connected-RPA to provide automated financial crimes case investigation and management. This scales ...to meet the growing demands of regulatory agencies to more efficiently and proactively monitor and manage risk for financial services customers. Blue Prism adds TrustPortal’s secure, dynamic, front-end user interface to Blue Prism RPA, giving enterprises the ability to easily introduces human interactions into complex processes. Blue Prism’s Affiliate Partners bring both technical assets and ideas to Blue Prism customers and Partners, as well as participate in the development of new technologies that integrate with Blue Prism RPA. A growing community of organisations dedicated to delivering the best possible skills and expertise, raising the cross-industry benchmark for quality.